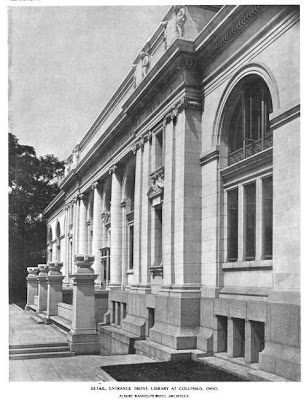 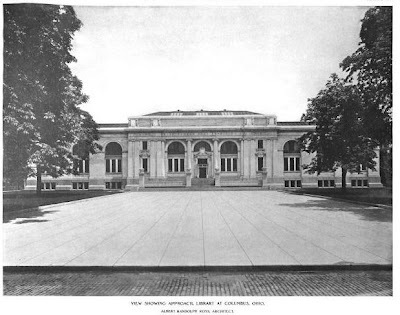 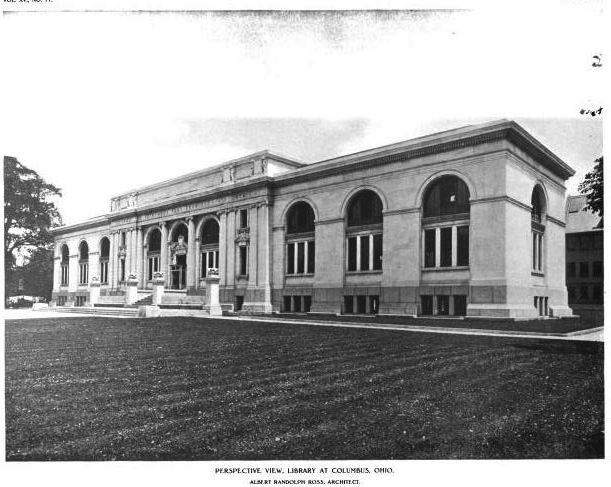 The Columbus Metropolitan Library designed by Albert Randolph Ross and Wilbur T. Mills c. 1907 in Columbus, Ohio. 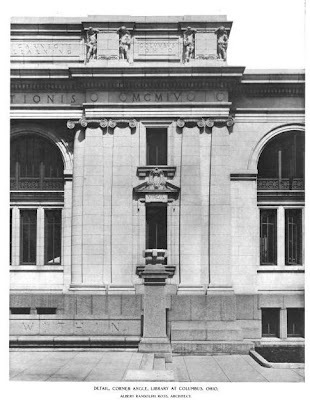 Ross worked in the firm of McKim, Mead and White from 1891 until leaving to start his own firm in 1897. 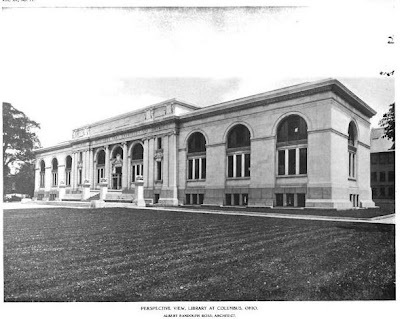 Click HERE to see the Columbus Metropolitan Library on google street view.